In this meticulously manicured Garden of Eden, the especially picturesque Santa Rose Mountains stand guard over affluent homes, well-tended country club and some of the Valley’s best known destination resorts. 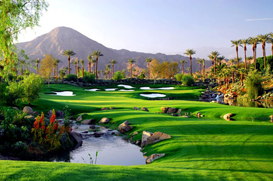 It is also the site of one of the most exciting venues in the country, The Indian Wells Tennis Garden. This stunning, 16,000-seat structure was built to accommodate the growing demands of the Pacific Life Open Tennis Series held here each March, as well as various concerts and events throughout the year.